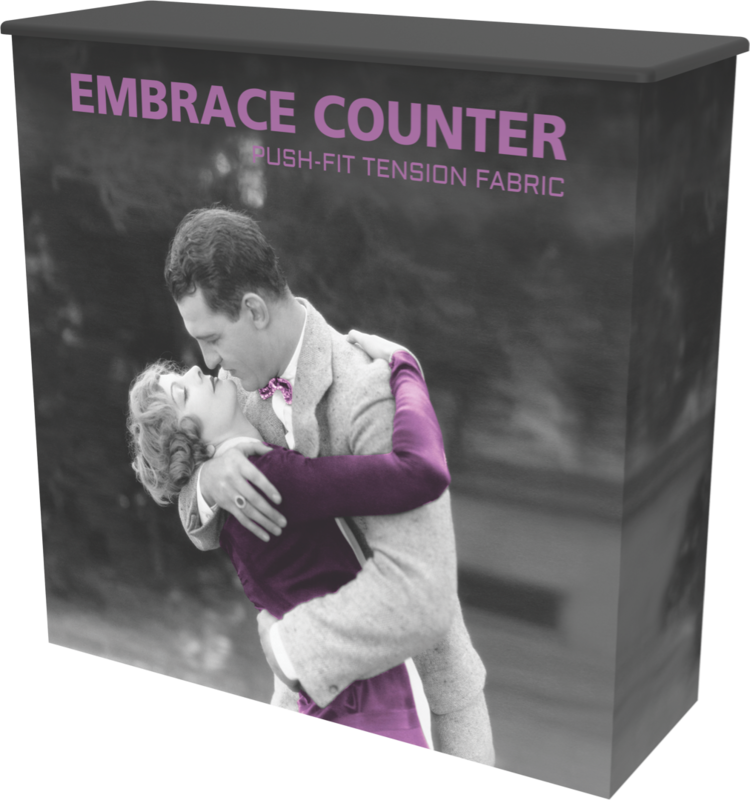 The Embrace SEG graphic trade show counter, is a simple-to-assemble collapsible display counter that combines a lightweight anodized silver frame with durable locking hubs with SEG fabric graphics to deliver style with minimal effort. Simply pop up the frame, slide channel bars (which hold the graphics) into place, attach the push-fit (SEG) fabric graphics, and you have a crease-free and modern display. It's that simple!